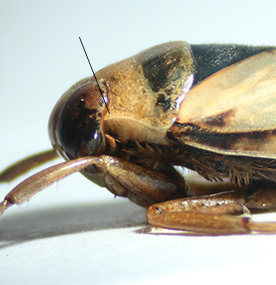 A species described by Southwood and Leston (1959) as being found mainly in brackish coastal pools and extending as far north as a line between North Wales and the Wash. 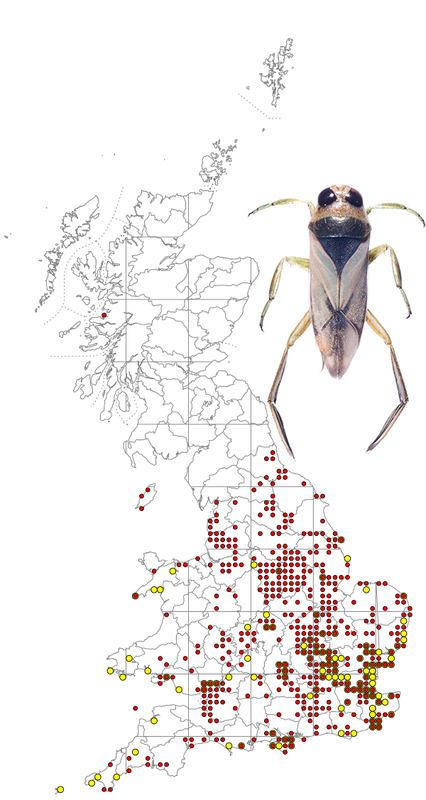 Since then N. viridis has extended its range into Northern England (the Scottish record shown on the map below requires confirmation) and is now found in quite a wide range of non-saline inland habitats. The map is based on records from NBN Gateway, with yellow dots showing pre 1990 records, reds dots 1990 – 2015 records and red on yellow dots overlapping records. N. viridis is present in Ireland, but has only been recorded from coastal locations, mainly in the south.